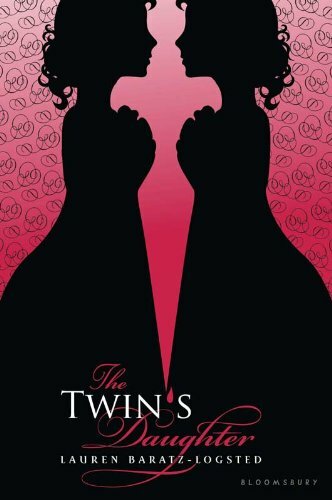 You guys, when the summary says that The Twin’s Daughter will keep you guessing to the very end – it ain’t kidding. This plot will have you so twisted up into knots that you will be devouring it to get to the end. It is really rare to find a mystery where you aren’t mostly certain what the outcome will be, and The Twin’s Daughter is the answer to that problem. When I was a kid, I read Victoria Holt novels obsessively. I loved them. They are gothic mystery/romance novels written back in the 1950s-60s. As I got into high school, they stopped feeding my gothic addiction. The fact that they have little to no character substance or development became a glaring problem that I couldn’t ignore. This book reminds me of those books, because it is exactly what I wish a Victoria Holt novel could be. Basically, I have nothing negative to say about the story. As I’ve already said, the plot is brilliant and one of the best written mysteries I’ve ever read. The fact that it is a stand-alone is another huge plus. It seems like everything is a series lately. And the characters? Yeah. They’re amazing too. Lucy Sexton is the perfect heroine. She gets caught up in the mystery between her mother and newly discovered aunt – and we have to try puzzling things together along with her. All the things she considers and discovers are completely believable and perfect to fit the story. Suspense, mystery, love, family dynamics and a rather large creep factor all come together in a perfect balance to make one fantastic story. I highly recommend picking up The Twin’s Daughter by Lauren Baratz-Logsted. I loved Victoria Holt when I was younger too until I realized it was the same plot in different settings. This sounds like the kind of book for me! I've been on the fence about reading it, but I might have to give it a try. The sounds of it caught my attention, but I love that cover too! The way the pink between the women is made to look like a dagger. I love it! Glad you enjoyed it so. Thank you!